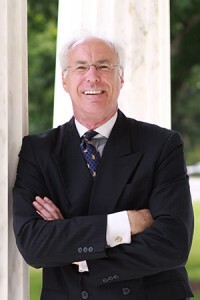 Mr. Nicholson is the Executive Vice President and a co-founder of ICD Corporation. He performs consulting in all areas of commercial and central bank ICT. His experience and expertise as an international development executive is based on over 30 years of global advisory, consulting and development in banking technology. Prior to co-founding ICD Corporation, Mr. Nicholson worked for IBM, Digital Equipment Corporation (Now HP), Oracle and the Tower Group (a banking technology consulting organization). His experience is derived from his work with commercial and central banks in both international and the domestic US markets. His expertise includes ICT strategic planning, governance, policy development, organizational assessment, change management, business analysis, system design, business process management and reengineering, training, procurement and delivery of technology solutions and project management. His application expertise covers Core Banking, Enterprise Resource Planning (ERP), Payments, and Data Warehousing systems. Mr. Nicholson has extensive experience in central banks in the development of technical and functional specifications for Core Banking, ERP, Data Warehouse (for support of monetary policy formulation, research and statistics), Banking Supervision (supporting data collection and analysis of prudential returns and systems that support the central bank supervisory process) and Payments (Real Time Gross Settlement – RTGS, Automated Clearing House – ACH, Cheque Processing and Card based systems). He has undertaken these responsibilities in countries all over the world including Bangladesh, Rwanda, Azerbaijan, Nigeria, Viet Nam, Australia, India, Kazakhstan, Kuwait, Uzbekistan, Philippines, Colombia, Chile, Argentina, Panama, Sri Lanka, Senegal (BCEAO), Romania, Philippines, Latvia, Russia, Mauritius, Belarus, Mongolia, Singapore, Austria and many others. Consultancies have included assessment of existing systems, development of standards and regulations, strategic planning, functional and technical specifications and procurement advisory. Mr. Nicholson’s uniqueness stems from the fact that he has worked both as a vendor and bank advocate. His work has resulted in the advancement of many financial institutions into leading, technologically proficient organizations.